Incorporated with unparalleled 0.002Lux starlight visibility, top-notch 140dB WDR and leading-edge H.265+ compression, Milesight H.265+ ABF Pro Box Network Camera performs well in all kinds of demanding lighting conditions. The user-friendly functions such as 3D-DNR, Privacy Masking and the versatile interfaces are available to meet your different kinds of video surveillance needs. Incorporated with unparalleled 0.001Lux starlight visibility, 3 in 1 Super WDR Pro and leading-edge H.265+ compression, Milesight LPR H.265+ Auto Back Focus Pro Box Network Camera performs well in all kinds of traffic solution. With embedded LPR algorithm and 12x AF Motorized Lens, the LPR 12x H.265+ AF Motorized Pro Bullet Network Camera could zoom in to distant subjects while still maintaining the clarity to catch the vehicle’s plate number easily. With LPR algorithm embedded in LPR H.265+ Motorized Pro Bullet Network Camera, the camera also features professional motorized zoom lens, latest IR LEDs, P-Iris control, Ultral Low-light and 3 in 1 Super WDR Pro, making it stand out in traffic solutions. With LPR algorithm embedded in Milesight LPR H.265+ Vandal-proof Motorized Mini Bullet Network Camera, the camera also features 2.8~12mm ultral wide angle lens and well-designed IP67&IK10, allowing it to meet the needs of traffic solution. The new pro bullet network camera released recently especially features the stunning H.265+ Codec, 12x Auto Focus lens, up to 5-megapixel High Resolution, and Smart IR II Technology with a viewing range of up to 80m. Milesight H.265+ Pro Dome's unique clamshell design outshines all the others in hardware innovation for hassle-free installation. By harmonizing the motorized zoom lens, IR LEDs, Ultral Low-light and Super WDR technology, the camera creates superlative image quality for any applications. With latest Ultra Low-light and Super WDR technology, H.265+ Mini Bullet provides unrivaled video quality in any light conditions. Sunshield weather-proof housing, plus with the 3-axis bracket make it radically different from the peers. There are fixed lens and motorized lens models avail for choice. Milesight 4K H.265+ Pro NVR 7000 Series can preview/playback 4-ch 4K UHD or 16-ch 1080P IP cameras synchronously with amazing details. Thanks to the intuitive and friendly GUI, you can connect this NVR to a monitor via HDMI or VGA and easily take care of your settings. Milesight H.265+ Mini Dome Network Camera can support H.265+ video codec to achieve better compression ratio while maintaining high quality pictures at reduced network bandwidth. Wide angle of view, 3-axis design and PoE module make this mini-sized dome easy to be installed. Equipped with the IP67-rated & IK09-rated housing, H.265+ Mini Dome is apt for outdoor surveillance, withstanding harsh climatic and high impact force. Incorporating latest IR LEDs, Ultra Low-light and Super WDR, the camera is able to provide superior image quality around the clock. Milesight network cameras and NVRs were employed in the manufacture bases in the Istanbul, Turkey. Milesight Starlight Premium Series and Mini PoE PTZ Bullet Network Camera efficiently protect the bases. 140 pcs of Milesight Vandal-proof Mini Dome Network Cameras and 4 pcs of Milesight H.265 Pro NVR 8000 series were employed in a Nursing Home in Sydney, Australia. Ibn Sina Hosptial, established in 1980 in Mashhad, is one of hte largest psychiatric centers for mental patients and people with psychiatric disorders. Bama Chain Stores is one of the most successful and best-selling chain stores in Iran. Bank Melli Iran is the first national Iranian bank which was established in 1927 by the order of the Iranian Parliament and since then has consistently been one of the most influential Iranian bank. Dr. Shariati Hospital, located in Mashhad, Khorasan razavi, Iran, was founded by the efforts of Tuberculosis Society of Khorasan in 1330. Faculty of Medicine in Prince of Songkla University now has an advanced, integrated IP-based security solution that provides a safe environment. For a large store, a delicate and modern surveillance system is crucial. 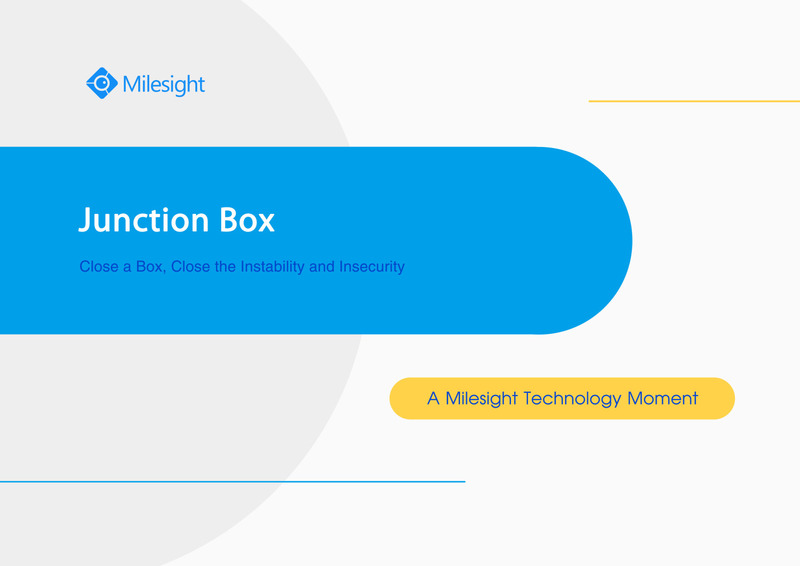 Milesight helped to build a round-the-clock security system for the Sina Behdasht, the largest distributors of cosmetic and sanitary products in Iran. Better surveillance, safer school. Milesight was enlisted to secure every classroom in Manav Sehyog School. Click to see how Milesight guard the students and staff in this school. The catalogue will show you what is Milesight, what Milesight produces and what advantages Milesight owns. 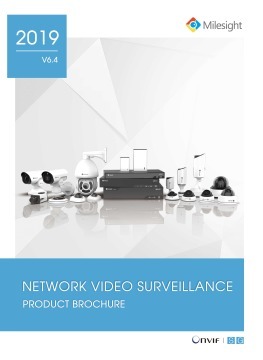 It's a product brochure shows our Milesight products details including the IP Cameras, NVR series and VMS/CMS. Especially for Mini Series 3.0, 4K Utlra HD H.265 HEVC, PTZ Bullet, Speed Dome, Fisheye Network Camera, PoE NVR. In the base support, there are power interface, PoE port, and other interfaces. Thanks to integrated cable management. It takes no effort in installation. Lighting is one of the most important factors in image quality. As it gets darker, a surveillance camera's ability to capture evidentiary detail such as faces and licence plates rapidly decreases. In order to overcome this, Milesight H.265 Mini PTZ Bullet Network Camera is equipped with improved Smart IR II technology, which contributes to a high-performing and power-efficient IR solution with excellent quality and clarity video. Reliability and safety are two of the basic requirements of the cameras' operation. But large parts of the cameras would continuously exposed to hash environments such as rainstorms, dust, sand and high winds inevitably. The sealed condition will be broke once the inside pressure varies with the change of the environment. As the result, corrosive liquids, salt and particulates may enter the enclosure and damage the internal electronics. To solve the problems and prolong the life span of the network cameras, Milesight introduces the 2nd generation membrane: Screw-in Vent in the Mini PTZ Bullet Network Camera. The mussy and exposed cable junction, or complicated installation processes could be big problems influencing the user-experience. To make Milesight Mini PTZ Bullet Network Camera a true customer-friendly product, the clamshell design junction box is introduced to simplify installation and tidy the cable connection. Lighting is an indispensable ingredient for network cameras to achieve high quality images at night in any surveillance system. LED lighting can be integrated with a whole variety of security technologies for an intelligent and cutting-edge security system. Featured with refined starlight premium technology, Milesight H.265 Mini PTZ Bullet Network Camera with advanced white light sources provides clear and colorful images at night. Also, Milesight White LED is integrated with the alarm system as an alarm action, which provides the most flexible and dynamic lighting set-up in order to detect and deter crime. FOR MORE INFORMATION CONTACT MILESIGHT TECHNOLOGY CO., LTD.